A simple and comfortable hotel in the center of Jaipur. 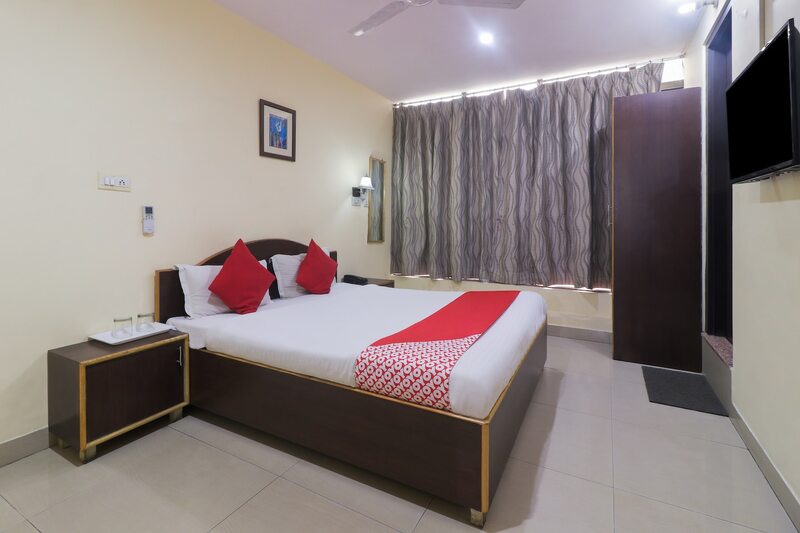 Situated in a bustling neighborhoof, Hotel Ananta Inn is one simple hotel with a homely ambience ensuring a blissful and serene stay at a pocket-friendly price. The spacious rooms are clean with simple finishing and fine pieces of furniture adding a comforting quotient in your stay. The colourful cushions add bursts of colour to the space. Guests can avail of the facilities like free Wi-Fi, an elevator, power backup, card payment, and laundry service. The in-house restaurant is a tranquil place to hang-out and delve into the local cuisines. Key attractions like Rajasthan Polo Ground, Birla Mandir and Moti Doongri Ganesh Temple are in safe distance from the hotel.